Depart to Nakuru for lunch and afternoon game drive in Lake Nakuru for flamingoes as well as the rare white rhino. The park is world�s famous ornithological paradise with over 450 species of birdlife - flamingoes, pelicans, . Overnight at Sarova Lion Hill Lodge, L,D. Distance: 300 km. (5 hr.). Morning drive West past extinct Mt Longonot into Masai Mara Game Reserve with it high concentration of wildlife and outstanding scenic views. Afternoon game viewing drive. The birdlist totals over 450 species and includes - Egyptian vulture, Hooded vulture, Griffon vulture, Nubian vulture, White-backed and White-headed vulture, Ostrich, Cardinal Quelea, Woodpeckers (Golden-tailed, Little Spotted and Fine-banded), among other hundreds of species. Lunch, dinner and overnight at Sarova Mara Tented Camp, B,L,D. 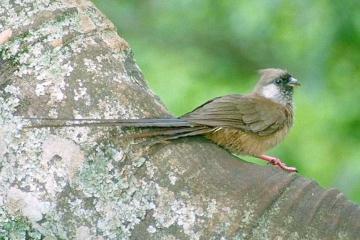 Full day of wildlife and bird watching in this typical savannah country a well-known site for various wildlife movies. Full board accommodation at the lodge, B L,D.